Updated Monday February 4, 2019 by Kyle Manny . Congratulations to the Lake George Varsity Nordic Ski team led by head coach Joelle Normandin assisted by Phil Gengel and the Varsity Boys and Girls Track Teams Team led by head coaches Steve Guidetti / Kevin Burrall assisted by Joelle Normandin for receiving the New York State Public High School Athletic Association Scholar Athlete Team Award. 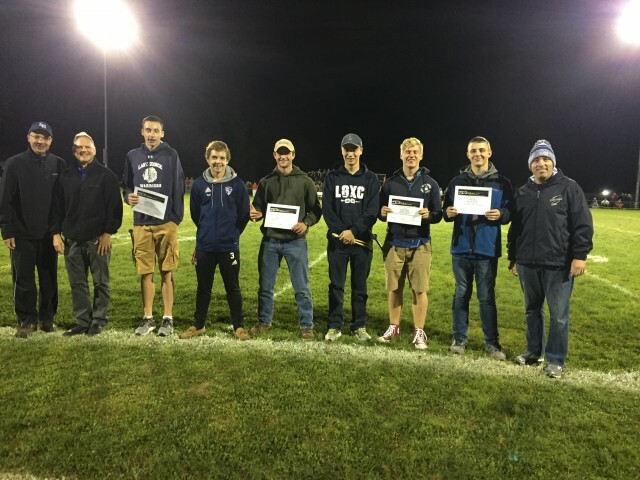 The team were recognized during halftime of the Football game on Froday October 5. The Scholar Athlete award is presented to teams across the state who have a combined team grade point average of 90% or higher.